San Francisco, CA – 31 January 2018 – OrionVM®, a leading provider of wholesale Infrastructure-as-a-Service (IaaS) and next-gen cloud technology, is a winner in the 2017-18 Cloud Awards Program in the category for Best Cloud Infrastructure. Now entering its eighth year, the cloud computing awards program celebrates excellence and innovation in the rapid-growth cloud computing market. The awards program accepts entries from organizations of any size, across the globe. OrionVM Co-Founder and CEO Sheng Yeo said: “To reach the shortlist in the 2017-18 Cloud Awards program validates our teams dedication to innovation and meeting the evolving needs of today’s businesses. 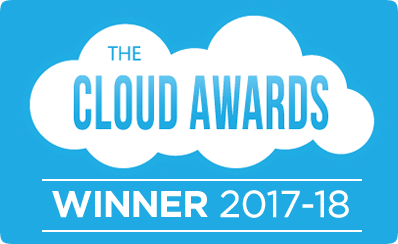 OrionVM is truly honored to be recognized as the ultimate winner for Best Cloud Infrastructure in the 2017-18 Cloud Awards. Cloud Awards organizer Larry Johnson said: “What was a difficult task narrowing down the submissions to arrive at the final shortlist becomes a truly daunting challenge by the time we have to arrive at the list of ultimate winners. Entrants showed unique strengths and the ever-important commitment to innovation while leveraging cloud technologies – whether or not they found a place on our shortlist. Over 300 organizations entered, with entries coming from across the globe, covering the Americas, Australia, Europe and the Middle East. You can view the full shortlist and winners here: https://www.cloud-awards.com/2018-shortlist. For more information on OrionVM, click here. Follow OrionVM on Twitter (@orionvm) and Facebook (https://facebook.com/orionvm). The Cloud Awards is an international program which has been recognizing and honoring industry leaders, innovators and organizational transformation in cloud computing since 2011. The awards are open to large, small, established and start-up organizations from across the entire globe, with an aim to find and celebrate the pioneers who will shape the future of the Cloud. Categories include Most Promising Start-Up, Best SaaS, and “Best in Mobile” Cloud Solution. Finalists were selected by a judging panel of international industry experts. For more information about the Cloud Awards please visit http://www.cloud-awards.com/. Turnkey Cloud with OrionVM and SUSE OrionVM is going to AsiaBSDCon!